Over the weekend I played one of my favorite childhood games. 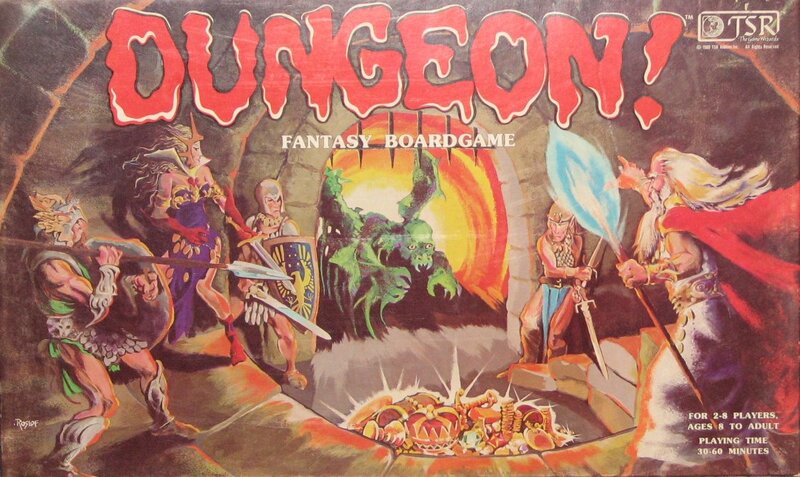 I probably haven't played Dungeon in over 25 years. I played with my two nephews (8 and 7) and my brother. My nephews seemed to enjoy themselves and I can only hope the game will leave the same impression on them as it did on me so long ago. I loved playing this game with my cousin growing up. Turns out everyone in our Club has a copy except me! Last year we played it at Mongo's for Halloween. Good stuff!